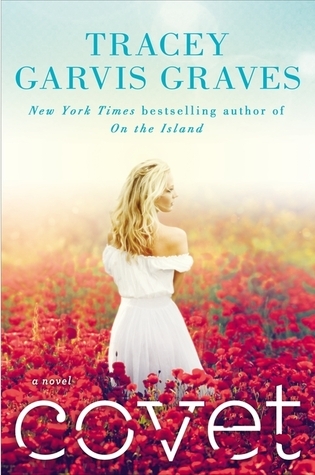 From the author of the New York Times bestseller On the Island. Claire loves the way Daniel makes her feel, and the way his face lights up when she walks into the room. Daniel knows that Claire’s marital status means their relationship will never be anything other than platonic. But it doesn't take long before Claire and Daniel are in way over their heads, and skating close to the line that Claire has sworn she’ll never cross. This book is one of those books that just makes you think. Even days after I finished reading this book, I was still thinking about it. There's no way getting around it. I have put this book down and just started thinking. I thought about things such as, "Can someone be in love with two people at the same time?" "Can a man and a woman be friends without having any kind of emotional or physically involvement?" Another question that popped in my head was, "Can a marriage survive when one of the partners have checked out?" Those questions popped in my head a few times during the course of reading this book. Tracey touches such a sore subject in this new novel "Covet". This book was so realistically written, I dare you not to connect to it somehow. Even if it's not in our own marriage but someone else, how many of us know someone who turned away from their spouse to seek comfort somewhere else? Where do you draw the line? In Covet you meet a woman so desperately in love with her husband, a woman that thrives on being the best supportive wife she can be. But sadly her husband has checked out. He's no longer involved emotionally in their marriage what so ever. The stress of the recession and the downfall of the economy has affected this marriage like it has many others. But what can a wife do when she needs her husband's comfort but he's just not there. Should she stick around or let it go? While Claire's husband Chris is looking past his wife, another man is looking at right her. Daniel is a cop that is lonely. He's really a good guy, but he seeks friendship in a woman whose so vulnerable. You have to ask yourself, "Where is this friendship heading to?" As I continued to read the story, sadly I was rooting for them. Even though Claire was married and I knew Chris is going through a lot of stress, I wanted Claire to be happy. And I wanted Daniel to be happy too. I wanted everyone in this book happy. But I felt a bit guilty for that because I didn't dislike Chris either. This book had me filled so with many different emotions, I just couldn't get a grip until I completely finished it. Covet grabbed me and didn't let me go. I think Tracey handle the situation in this book beautifully. I give her kudos for that. This book will have you thinking about relationships and friendships. This is my second read by Tracey and I loved it. I think her work is amazing. I can't wait to see what she has coming up for us next. I give Covet a 4.5 stars and a definite Good Choice for Reading. I really enjoyed your review. I'm curious to see how it ended. The ending was good. I love her books. They don't disappoint. I won a copy of this and still haven't managed to get to it. I've heard amazing things about it. I love books that make me stop and think. Thanks for the review.